Standard wire spools are available in 25ft, 50ft and 100ft lengths. Kingsborne Wire Werks Inc offers many cable types that meet the increased energy needs of leaner burning engines, withstand high operating temperatures, and meet strict suppression requirements for electro-magnetic interference (EMI). 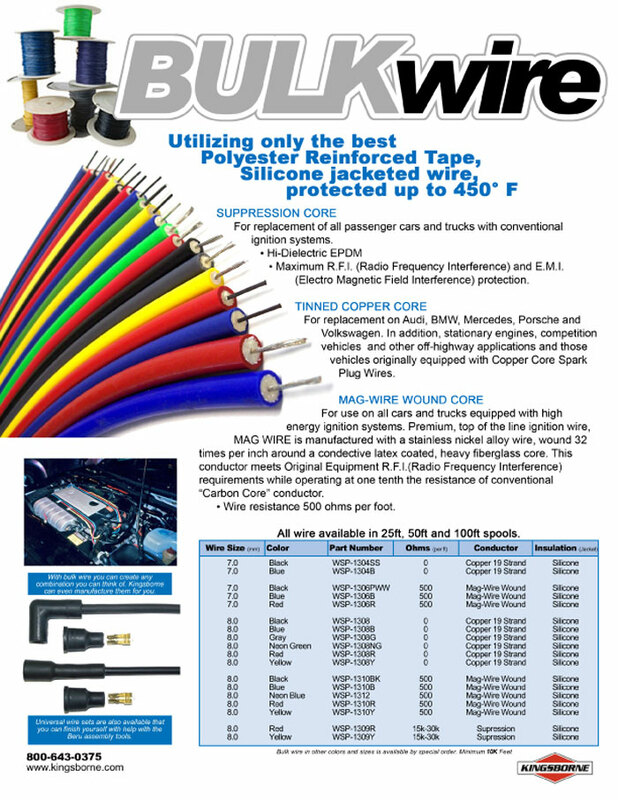 Order bulk wire here. Also see universal wire sets for pre-made kits you can finish yourself with help with the Assembly tools. KINGSBORNE has used only the best for over 25 years. © Kingsborne Wire Werks, Inc.